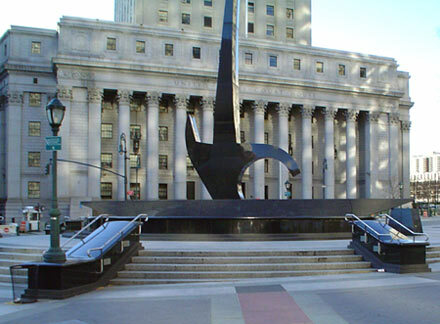 One of the world’s largest site-specific installations, Triumph of the Human Spirit is an outdoor granite sculpture by Dr. Lorenzo Pace, installed at Foley Square in Manhattan, New York, United States. 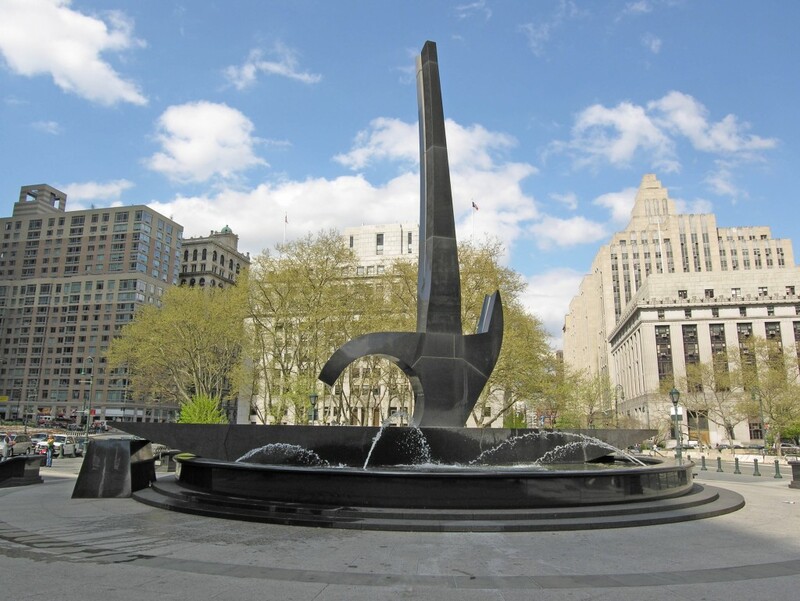 Towering at over fifty feet and weighing more than 300 tons, the massive black granite sculpture was built on a rediscovered Colonial-era African-American burial ground, and its support structure alludes to the slave trade’s Middle Passage. In 1991 construction workers excavating the foundation for a Federal office building at 290 Broadway and Reade Street in New York City made a startling discovery—they came across the intact remains of more than 400 persons interred long ago at the African Burial Ground. 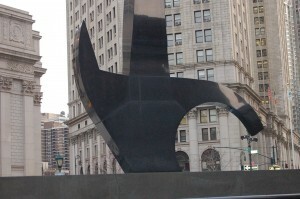 Following an extensive archaeological survey, a portion of this historic site was preserved as a National Historic Landmark, and the entire burial ground as well as other sites of archaeological sensitivity, from the southern portion of Foley Square to the northern precinct of City Hall Park was designated the New York City African Burial Ground and Commons District. Triumph of the Human Spirit and other commemorative features in the vicinity are intended to honor this important legacy of the city’s early history. This sculpture was commissioned through the City’s Percent for Art program as the centerpiece of the new park. Triumph of the Human Spirit depicts an abstract female antelope form, mounted on a boat shaped base. According to Dr. Pace, the piece is inspired by “Chi Wara” an antelope effigy from West Africa that symbolizes a responsibility for continuing the next generation and for celebrating a successful harvest. Triumph of the Human Spirit is a monument to honor all Africans brought to America but is also dedicated to all ancestors as well as the future generations to come.